There&apos;s plenty of year-round fun to be had in the Chippewa Valley that won&apos;t cost you a small fortune. Our EC Insider Claire Sarafin has put together a brief list of things to do in Eau Claire, Altoona and Chippewa Falls that won&apos;t bust your budget. If you have an hour to kill and a fiver to spare head over to River Prairie Park. There you can rent yard games from the Altoona Parks and Recreation Department for just five dollars an hour. My husband and I busted out the badminton racquets, but you can choose from Ping Pong, Giant Jenga, Yard Dice, Kubb or Bocce Ball. It&apos;s an excellent activity for a group hang or date night, and when the time comes to give back the gear, you can always keep the party going by taking a stroll through the park - free of charge. You can explore the trails, enjoy the tranquility near the river or run through the splash pad on a hot summer day. Equipment is available Mondays through Fridays from 8:00 am to 4:00 pm, and again from 5:00 to 9:00 pm. You can stop by the Parks Department office from 10:00 am until 9:00 pm on Saturdays and on Sundays, you can rent from 11:00 am to until 8:00 pm. Though you must be at least 16 years old to check out gear, it&apos;s good fun for the whole family without breaking the bank. Eau Claire Insider Tip: If you&apos;re interested in renting the Giant Jenga set, consider bringing your own dolly or wagon. The blocks and the crate they come in are pretty heavy and it&apos;s a serious workout hauling them around if you want to play Jenga in a more secluded part of the park. If you&apos;ve got some time to spare and a few dollars in your pocket, it&apos;s likely the Joynt in Eau Claire has a spot at its bar for you. A single buck will get you a glass of Grain Belt, or whichever brewed beverage you choose to wet your whistle. 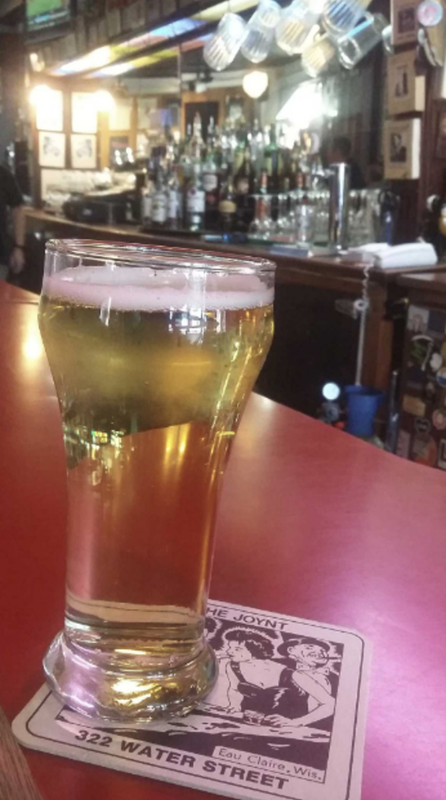 If you&apos;re in the mood to spend a quintessential afternoon in EC, invite some friends to the Joynt for a pitcher during happy hour, which runs from 5:00 to 7:00 pm every day of the week. You can get some brands of beer for less than $5 a pitcher and still have money left over for a game of darts. Or you can find a seat at a table in the windows and people-watch as folks pass by on Water Street. Dogs are welcome at the Joynt, but most patrons will want to play with them and will to try to pet them, so keep that in mind before bringing Buddy to the bar. If you&apos;re looking for a cheap dinner date on Water Street and both of you are willing to pitch in a fiver, one of you can buy a round of drinks and a game of pool at the Joynt and the other can cover a $3 slice of pizza at Buzzy&apos;s Pizza Emporium down the road. The Mac&apos;n&apos;Cheese pizza there is legendary. Eau Claire Insider Tip: On a nice night, park your car on the opposite end of Water Street and walk down to the Joynt. You can window shop along the way and take in a block or two of the Eau Claire Sculpture Tour. With more than 50 sculptures on display around town, Sculpture Tour Eau Claire is the second largest tour of this type in the U.S. People are encouraged to pick their favorite piece and vote for it online. The sculpture with the most votes is named the ‘People&apos;s Choice Winner&apos; for the year. 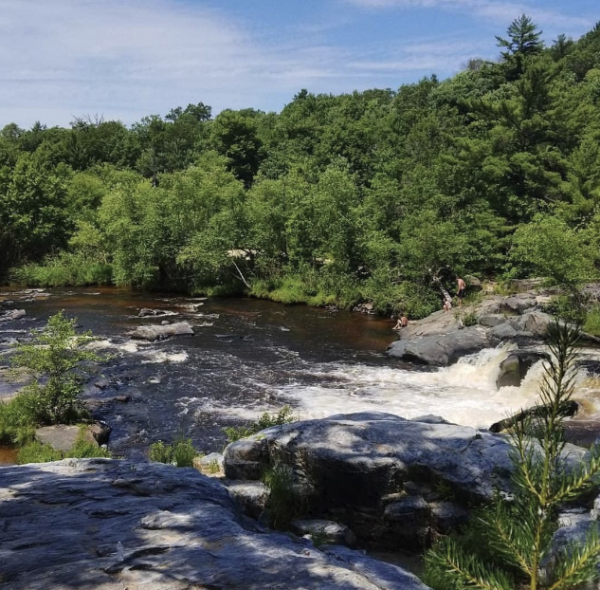 Whether you&apos;re an experienced swimmer or just a water enthusiast like me, there are a number of fun and inexpensive ways to cool off around the Chippewa Valley during the summer months. As I mentioned above, you can run through the splash pad at River Prairie Park in Altoona. Crews turn on the water as soon as the weather gets warm and people are invited to stop by and check it out anytime between 8:30 am to 10:00 pm, even when it&apos;s raining. The splash pad is free of charge. In Eau Claire, people can take a dip in Fairfax Pool to beat the heat; the daily admission is just $4.25 a person. However, if you can find at least 15 friends to join you at the pool that price drops down to just $3.75 a person and kids two years old or younger are totally free. If you are looking to cool off while reconnecting with nature, there are plenty of beaches around the Valley to meet your needs. For just $5, you can park at one of the Eau Claire County parks for the day and soak up the sun at Big Falls or Lake Altoona. You can also ride the Chippewa River and float from Phoenix Park to Owen Park, the UW-Eau Claire campus or Hobbs boat landing. Floating is free, as long as you have your own tube. Eau Claire Insider Tip: If you want to float with a big group, bring rope to tie your tubes together. And if there are at least two drivers in the group, park one car at the beginning of your float route and another at the end. That way you&apos;re not walking across town barefoot and in a bikini. These days, it isn&apos;t easy to see the latest blockbuster and stick to your budget. That&apos;s why many movie theaters now offer customer-friendly fees on Tuesdays. AMC Stubs members can catch their flicks at Carmike Cinemas in the Oakwood Mall on Tuesdays for just $5 (plus tax) and anyone can cash in on the $5 (plus tax) discount at Micon Cinemas in Eau Claire and Chippewa Falls. 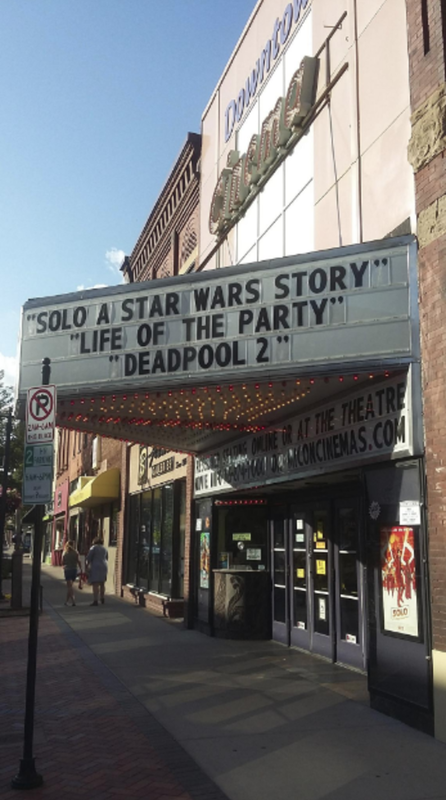 Eau Claire Insider Tip: If you&apos;re busy on Tuesdays, or not interested in the most recent releases, head over to the Budget Theater in downtown Eau Claire. Tickets there are just $4 anytime and only $3 on Tuesdays. If it&apos;s been a while since you&apos;ve visited the budget, you&apos;ll likely be impressed with its much wider variety of movie snacks, many of which are less than $5. If you don&apos;t have a single spare dollar to your name or have to entertain a large group of people with little to no budget, stop by Irvine Park and say hello to the animals for free. The zoo inside the Chippewa Falls Park is home to big cats and black bears, as well as birds, small mammals and some reptiles from around the world. 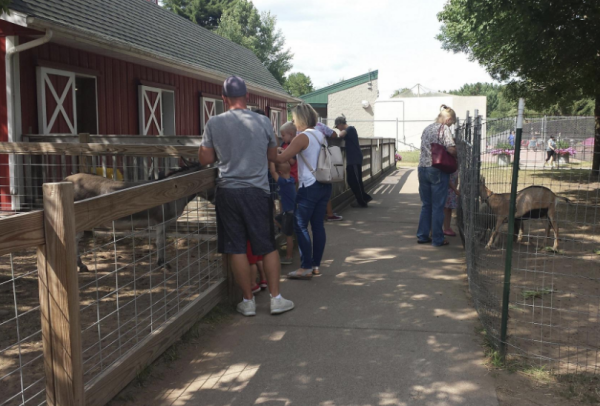 If you&apos;re visiting in the summer months, the Red Barn Petting Zoo will also be on hand with a variety of friendly farm animals with which people can play. Eau Claire Insider Tip: If you&apos;re in Chippewa Falls after Thanksgiving but before New Years Day, make sure to check out Irvine Park after dark. During the winter months, the park is decorated with 100,000 lights to make the Christmas Village. Guests can walk or drive through Irvine Park to enjoy the 100 displays. It&apos;s free of charge, but just like the zoo, donations are appreciated. Don&apos;t forget to #CaptureEC to share pictures of your budget-friendly days with us!